The Korean electronic giant, Samsung is preparing to unveil its latest Samsung Dual slider phone which called as Samsung M3310. The Dual slider phone is claimed to be the music phone which is targeted to music enthusiasts. The front panel of the phone has been improved for users to explore the alphanumeric keyboard while the slider can be flicked downwards to enjoy the music through built-in dedicated speaker. Beside that, the music experience has been enhanced with built-in music player and FM tuner. Featured with a QVGA TFT display with 320 x 240 pixels, Samsung M3310 is also equipped with a 3.2-megapixel camera. 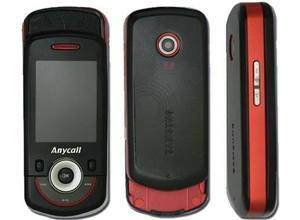 It boasts with 40MB of internal memory and supports quad-band GSM/EDGE connectivity. Additionally, it is Bluetooth enabled and supports MicroSD card. The Samsung M3310 with measurement of 101.8 x 46.9 x 15.9 mm and weighs 94 grams is expected to hit Asia markets first. However, the price of the phone is not yet announced.